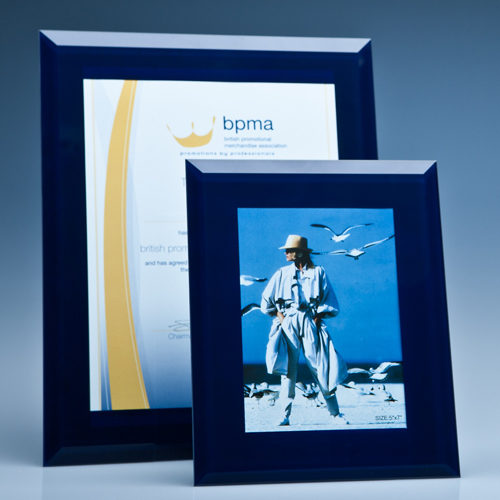 The stylish 5 inch x 7 inch picture frame is made out of blue glass with a polished edge and 1/2 inch bevel on all 4 sides. The mounting board on the back allows free standing vertically or horizontally, alternatively it can be hung on the wall vertically or horizontally. They can be personalised with any crest, logo or wording to create a gift that is sure to take pride of place when put on display at home or at work. They are supplied in individual white gift boxes.